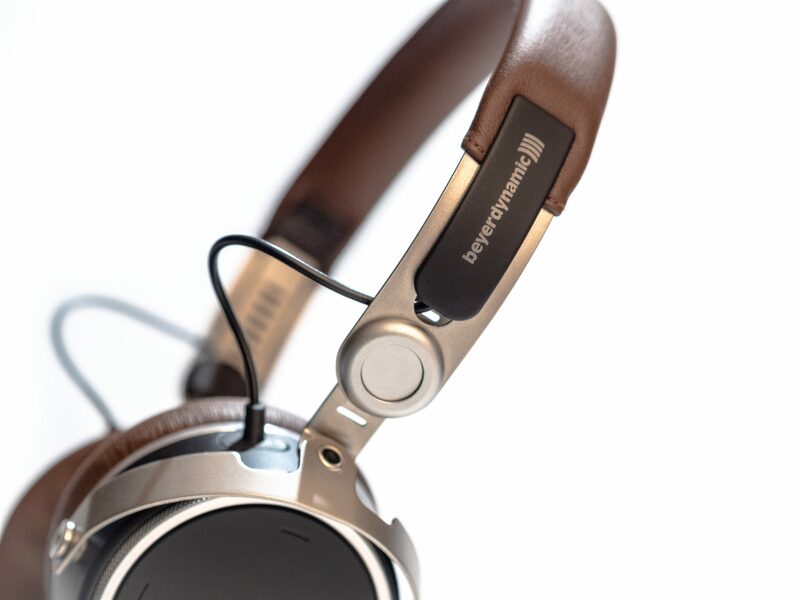 The beyerdynamic Aventho Wireless are a chic, well-made and comfortable set of on-ear headphones that are fun on-the-go with a warm tuning, moderate bass and smooth highs. You’ll enjoy wearing and showing them, but with a RRP of 449 € they ultimately stay a little below our expectations or don’t quite meet our demands of a neutral studio sound. Nevertheless, they can stand up to competing Bluetooth headphones. Perfectionists will criticize some shortcomings, such as the imprecise touch controls, noise from the built-in technology and a much too coarse volume control. In addition, the connection to the accompanying app is unreliable. Although the MIY app occasionally has problems accessing the headphones, the Bluetooth connection itself works very well. I am also very satisfied with the voice quality. As an audiophile, it’s easy to forget how convenient wireless use really is. Bluetooth definitely has some advantages. The usefulness of the MIY app, which is actually supposed to enable “perfect sound” through personalization, ultimately depends very much on the health or age of one’s own ears. If your ears are still healthy, the additional benefit remains relatively small, but I can see how the idea makes sense in the long run. Especially those with asymmetrical hearing are offered an almost unrivaled advantage. Others are instead advised to take a look at a cheaper on-ear from the same company, such as the Aventho (without wireless), the T51i or the DT 1350.